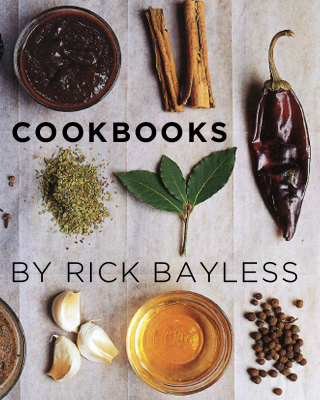 Rick Bayless | It’s #GivingTuesday, and we want to give you a book. It’s #GivingTuesday, a day of charitable contributions, and here at Frontera, that means one thing: It’s a great day to give to the Frontera Farmer Foundation, our non-profit that awards grants to small, Midwestern farmers. But since this is a day about giving, we thought we’d do some giving, too. 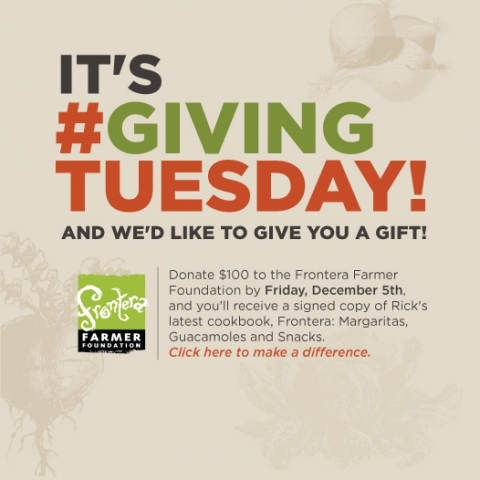 So: Donate $100 or more to the Frontera Farmer Foundation by Friday, December 5th, and we’ll send you a signed copy of Rick’s latest cookbook, Frontera: Margaritas, Guacamoles and Snacks. It’s a great book that makes a great gift of its own—especially if it’s a gift to yourself. To make your donation, click here now!